They’re one of the easiest ways to maintain a consumer connection, as they feed them information that’s both relevant and aligns with their passions. Nothing catches a consumer’s attention more quickly than the prospect of free stuff. A win-win for brands and consumers alike, user-generated content has earned a spot within every brand experience. Emails are the engine that makes post-event communication go. Once you’ve captured a consumer’s email, you have the power to remarket in endless ways. This is your day-to-day opportunity to build on your conversation, so make it count! Do Influencers Really Matter? You bet! 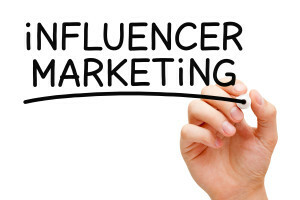 Are you using influencers to manage your brand image? According to Search Engine Journal, “Only 22% of customers trust ads and 27% trust branded content, whereas 51% trust an influencer’s endorsement.” That makes sense, right? If you think about it, would you rather buy clothes from a fashion icon, or because a woman in the store is selling you her clothing line? I’m guessing you said fashion icon, because unlike the woman in the store, she has sorted through the latest and greatest and is now giving you her honest opinion. 90 percent of online impact stems from just 3 percent of social media users. Not only do influencer audiences inherently trust influencer advice, but they’re also more receptive to content from a human being (as opposed to a brand). It’s easy to get lost in the fluff content floating around the web, but key influencers tend to be choosier with the information they endorse—that’s how they earned their audience’s trust in the first place. 70% of people want to learn about products through content instead of advertising, but that number drops significantly if you’re parroting the same words as everyone else. I think we can officially say, power to the third party!